Party time is chow time! 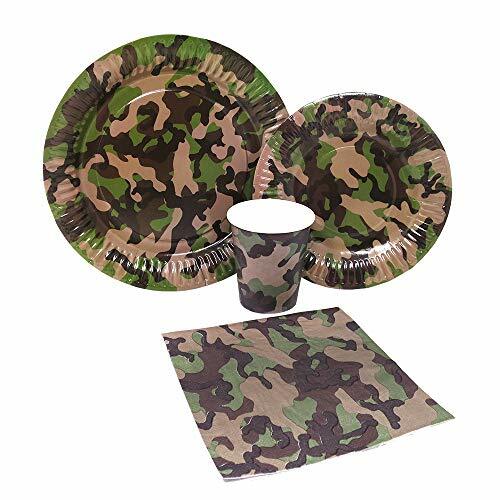 Pass this Camouflage Birthday Party Lunch Plates on your kid's party and convert the party hall into a fun filled mess hall. 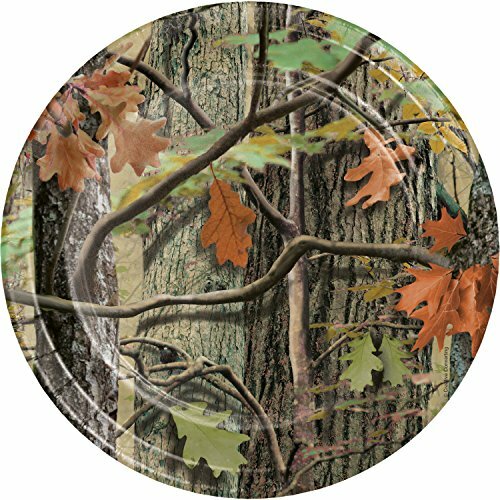 Let your guests hunt and gather cake and other delicious treats with these Hunting Camo Dessert Plates. 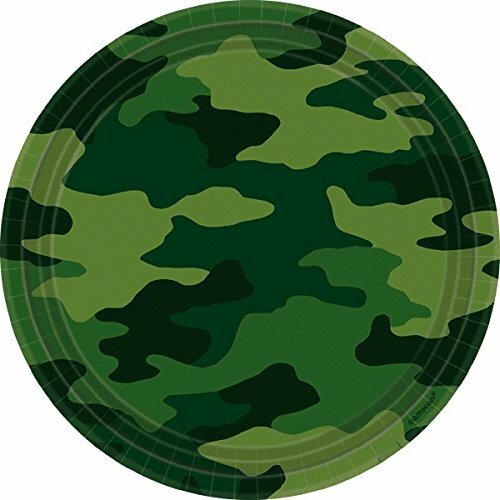 These plates display a camo design and measure 7" round, perfect for all of your snacks and goodies. 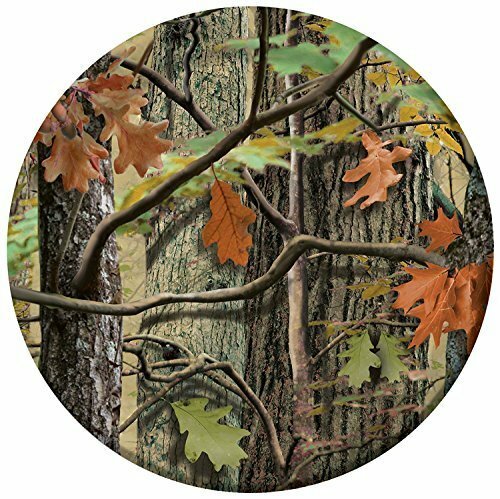 The premium strength paper plate comes in packs of 24 and can be combined with other Hunting Camo party supplies. 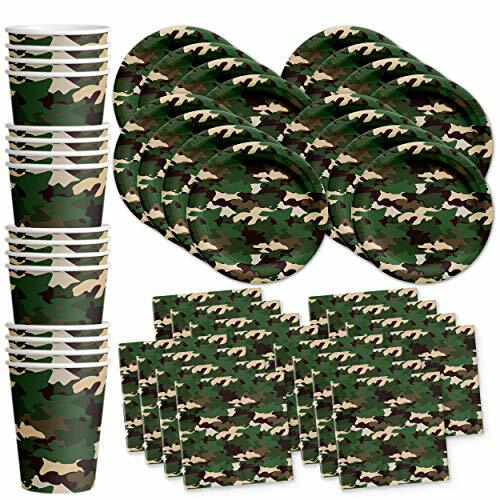 Hunt Down the Perfect Party with this Camo Standard Party Pack!Create the perfect setting for your next birthday or other celebration with this adorable camo party supplies pack! Make your party planning super easy and serve your guests in hunter style with our complete collection of celebration favorites. Your guests will love how you decorate your party tables with our party pack that has everything you need to serve 16 people. 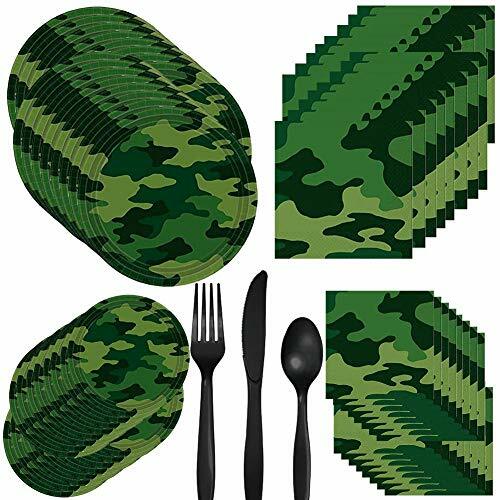 Here's what's included in each:16 Camo Party Dinner Plates - 9in16 Camo Party Dessert Plates - 7in20 Camo Party Lunch Napkins16 Camo Party 9oz CupsYour Aspiring Hunters Will Love This Theme!Go wild at your next celebration! What are you waiting for? 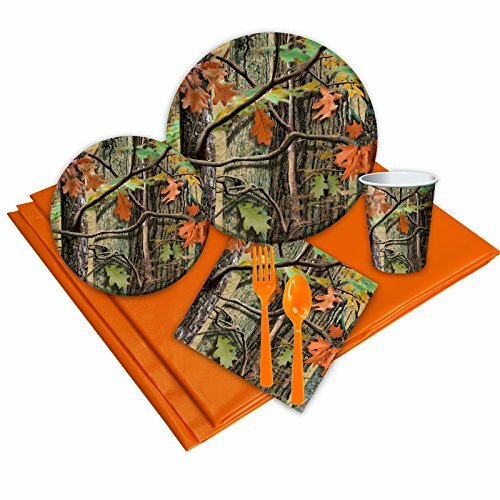 Our Camo Standard Party Packs are pre-assembled for your convenience and will remove the worry of decorating your camouflage-themed party tables. Trust us, you'll be the hero of your celebration when you choose our most popular assortment of camouflage birthday supplies (meant for 16 guests).